Christa Lamendola is the award winning and Emmy nominated morning news co-anchor at WFMJ-TV, Youngstown Ohio. 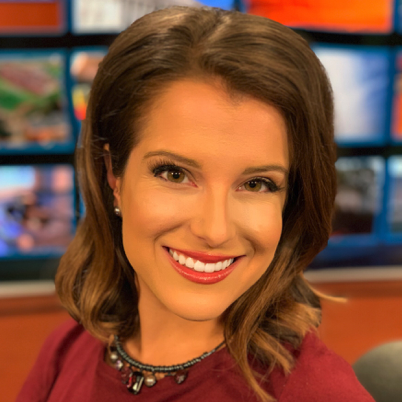 Christa joined WFMJ as weekend news anchor and reporter in 2015 from WLNS, Lansing Michigan. She backs up her anchoring with solid reporting skills evidenced by her exemplary reporting on government accountability in Lansing and award-winning work in Youngstown. She is an able mmj and is seen frequently on the street camera and tripod at hand. Christa grew up in Mars, Pennsylvania, Pittsburgh DMA. She is a graduate of the E.W. Scripps Schools of Journalism at Ohio University, Athens Ohio. She majored in broadcast journalism. Christa minored in meteorology. She says she loves a good thunderstorm but hates driving in them. If your sinuses or joints hurt, she’ll probably check the weather to see if it’s from a low-pressure system. Outside of work, you’ll find her at the gym lifting or out hiking or mentoring in local schools or picking through thrift stores with her mom! She is also a certified scuba diver and recently dove off Costa Rica.